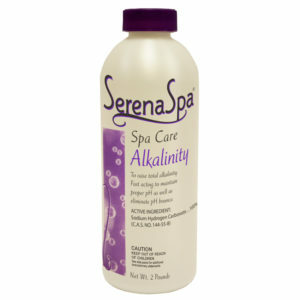 Designed to raise the total alkalinity of your spa or hot tub. SerenaSpa® Liquid Calcium is the convenient way to bring water hardness into the proper range. A revolutionary new product designed to be a spa water enhancement. 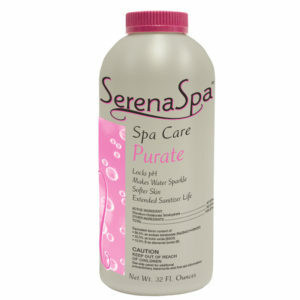 Purate provides immediate benefits such as reduced sanitizer costs, reduced filter run time, reduced problem-solving expenses and downtime. Designed to lower both alkalinity and pH of your spa or hot tub. Increases the pH of the spa or hot tub water. Increases the pH of spa and hot tub water.